One of the first members of Monty White LLP, Alice Perlman has devoted over 30 years to helping elders and their families solve their legal issues. As one of the pioneers in the field of Elder Law, she developed resources for the growing number of older people who face long-term planning issues, dementia, and other problems common among elders. She has taught Elder Law at Empire Law School and for the MBA program at Golden Gate University. She served on the Advisory Board of the Area Agency on Aging for Sonoma County. Alice offered free legal consultations at the Vintage House in Sonoma, and at the Jewish and Family and Childrens’ Services in Santa Rosa. 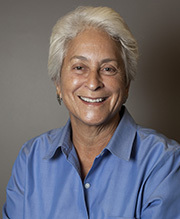 She has been a member of the California Advocates for Nursing Home Reform, the National Academy of Elder Law Attorneys, and numerous state and local bar associations. She also founded the Elder Law clinic with several colleagues, and is recognized as a pioneer in LGBT estate planning law. Alice holds a J.D. from Golden Gate University, a B.A. from the University of California, Berkeley, and a Ph.D. from UC Berkeley’s Graduate Theological Union and University of California, Berkeley.